It is ironic that only after the #2 seed Toronto Raptors got shocked with a Game 1 loss at their home court against the 7th seed Orlando Magic, they started talking about the importance of defense in order to win championship. Prior to the loss, there were aspirations about going to the NBA Finals but not much emphasis on crucial defense to win championships. Is it too late for the Raptors to prioritize team defense after ignoring how well opponents have shot to exploit their lack of defense in regular season? The lack of Raptors defense have contributed in 2 blowout losses during the regular season. In the 2 bad double-digit losses (15 points and 29 points wide margin), the Raptors allowed the Magic to shoot 46.7% while only shooting 35.4%. They both had 37.% 3pt shooting. In Game 1 3-point loss, the Raptors shot a little better (45.5% vs 40%) but allowed the Magic to outshoot them from 3-point line (48.3% vs 33.3%). And the fact that DJ Augustin sealed the win with a go-ahead 3 with 4.2 seconds only emphasized the lack of perimeter defense by the Raptors. The Raptors simply has not prepared to defend the 3-point line. And how did DJ Augustin do in these 2 blowout losses? He averaged 14.5 points and 7 assists shooting lights out 77% and 80% from 3-point line. Again, he dominated in Game 1 with 25 points and 6 assists shooting similar hot percentage at 69% (9-14) and 80% (4-5) from threes. The Raptors simply did not prepare to defend DJ Augustin properly in Game 1. Even in the 2 regular season wins (by 2 points and 12 points), Orlando Magic shot just a little worse (45% 2FG and 31% 3FG) and with still-good performance by DJ Augustin (54% FG and 50% 3FG). In conclusion, the Raptors simply have not defended Orlando Magic shooting well in all games. Defense has never been a priority so no wonder the Magic can win Game 1. When Raptors ISO-heavy offense sputtered, the Magic just simply outscored them. Will the Raptors focus on defense on 3-pt shooting and create game plan to stop/slow down DJ Augustin? Only time can tell. While Lin has struggled offensively in his 20+ games Raptors stint, he has demonstrated excellent defense. On Feb 26, Coach Nurse praised him for his standout defense on Kyrie Irving, limiting Kyrie Irving to 7pts and 5asts with subpar 3-10 shooting. 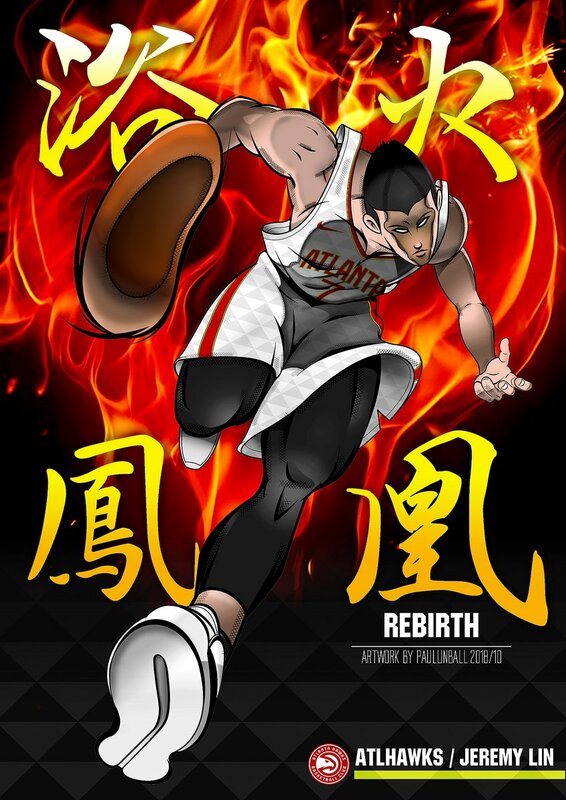 Lin seemed to be out of the playoff rotation with his offensive struggle and the Raptors did not choose to leverage his strength as a ball-handling point guard in the 2nd unit and excellent defense. Whoever can contribute in the ISO-heavy offense have gotten playing minutes. 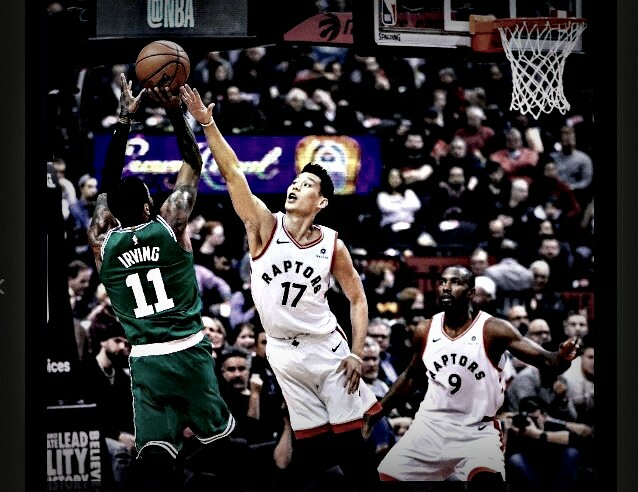 But playoff intensity has exposed the Raptors underwhelming defense and it remains to be seen if the Raptors look to Jeremy Lin to help solve the problem, particularly in stopping DJ Augustin. The following clip fro Feb 24 shows how Lin can keep up with DJ Augustin’s speed to guard the drive without fouling so DJ had to pass the ball out again. If the Raptors did not play Lin to guard DJ Augustin, somewhere the Magic Coach Steve Clifford might be chuckling because he has gone on the record to speak highly of Lin’s defense when he coached him in 2015-16 Charlotte Hornets. In December 2018, Clifford said the Hornets will miss Lin’s defense because he can guard both PGs and SGs. It was one reason, that the Hornets finished top 10 in defense. Clifford has been well-known due to his emphasis on defense in his team and he is a seasoned coach. He might be winning the playoff chess game in utilizing his players’ strength against a rookie head coach in Coach Nick Nurse who prioritized ISO-heavy offense. Playoff games are all about adjustment from one game to the next. Will Coach Nurse be ready to make playoff adjustment to seek who can help to stop DJ Augustin who powered the Magic offense? Will he most likely to stick to his rotation and simply ask them to play harder on defense? Time will tell how Game 2 will unfold. Hornets coach Steve Clifford said among lost free agents, the team is most likely to miss is Jeremy Lin, mostly because of his versatility on defense. He said he can defend both point guards and shooting guards. It was one reason, he said, the Hornets finished top 10 in defense.